Manufactures and supplies of oil press machines, mini oil expeller and palm oil press machine . Oil mill plant is the basis of the entire edible oil industry. It refers to a complete set of equipments and machineries used for the production of oil. At Tinytech Udyog, we manufacture oil mill plants that provide maximum output. Our oil mill plant is most versatile giving solutions to all your oil milling needs. A typical oil mill plant consists of different sections such as seed preparatory section, seed cleaning section, oil expelling section and oil filtering section. Each section has its own importance and collectively they contribute to make the whole oil mill plant. Our entire range of oil mill machines are technically advanced employing high quality raw materials. They are efficient, reliable, cost-effective and most sturdy. Our KMEC oil mill plant is suitable for crushing all sorts of oil seeds such Groundnut, Rapeseed, Cottonseed, Castor seed, Mustard seed, Soyabean, Sesame seed, Sunflower seed, Copra, Linseed, Palm kernel etc. 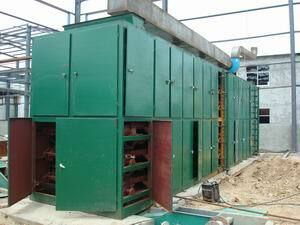 Oil mill plants make use of oil pressing technology for the extraction of oil. Oil expellers play a key role to obtain premium quality oil. 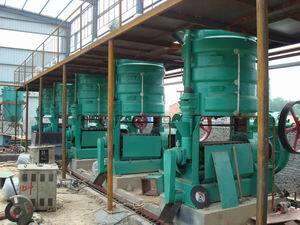 The oil seed pressing is done in various ways such as pre-pressing, full pressing, hot pressing and hot pressing. The full or single pressing technology is used for the small and medium capacity oil mill plants in which the oil seeds are pressed in one single step. Here the mills work on the principle of mechanical extraction to separate oil from seeds. A maximum yield is obtained from high oil content seeds. The discharged cake has the least oil left behind. The oil residue in the cake is around 4-6% only. Full pressing technology is used for all different oil seeds. In Tinytech full pressing oil mill plant the yield of oil is much higher and of a much better quality. In pre-pressing technology, the oil seeds are lightly pressed without the application of full pressure. The residual oil content in the pre-pressed cake is about 13%-17%. The pre-pressed cake is then sent to the solvent extraction plant. We offer pre-pressing machines for the oil mill plant that are fabricated in accordance with global standards. These machines have ease of operation, easy maintenance and low investment. This entry was posted in oil mill machinery. Bookmark the permalink.